“The Thundering Herd” is recipient of Reader Views 2016-2017 Literary Awards obtaining First Place for best History book and the Richard Boes Award - Best Debut Book by a Veteran. Readers will enjoy the family antics, humor, and love. For 15 years, John E. Peltier has been piecing together his family’s stories along with his own life journey through the military and business. This project concluded with the publication of his memoir in 2016. But his work didn’t stop with a memoir. Within his book readers find a piece of American history, beginning with the history of the Peltier’s (the French side) and the Keillor’s (the Scottish side) in the first half of the 1900s, through the union of both families through Peltier’s parents’ matrimony and the birth of their farm life during the 50s and 60s along with their 12 kids. “The Thundering Herd,” a title inspired by the nickname Peltier’s mother gave to his kids, also presents Vietnam War firsthand accounts as experienced by the author, as he uses serving time in the Army as a backdrop to share his journey from growing up on a rice and cattle farm in Texas, to the founding of Peltier Brothers Construction. This journey within American history shared by the author in his own voice as he lived it is the topic of this award-winning book, “The Thundering Herd - Farm Life in the 1950’s and 1960’s: Looking Through the Lens of Duty in Vietnam.” (ISBN 9781478765332, Outskirts Press, 2016). The author was the fifth of the twelve children that Wilburn and Barbara Peltier raised on a rice farm and cattle ranch located on the flat salt grass prairie of Southeast Texas. 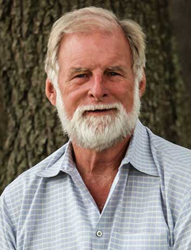 The life lessons John experienced during the years on the farm are the foundation not only on who he was to become, but also of his book. Although a memoir, “The Thundering Herd” reads almost like a novel. Peltier’s voice and humor makes the stories alive and entertaining while presenting a first account of life in a long gone historical era and a tribute to his family and the life lessons that made him the man he is today. He also provides nearly 50 pages of pictures of his life and military career throughout the book, which puts names and faces together. “Readers will enjoy the family antics, humor, and love. It is well written, emotional, and very inspiring,” raves Carol Hoyer, Reviewer and Literary Awards Judge for Reader Views. An opinion which was seconded by the other judges of the 2016-2017 Literary Awards as they all agreed that “The Thundering Herd” deserved First Place in the History category, as well as the Richard Boes Award – for Best Debut Book by a Veteran. John was drafted into the U.S. Army in 1967, just weeks after graduating high school when he was 18 years old. After boot camp and medical corpsman training, he ended up in Vietnam in November just after celebrating his 19th birthday. He served in Vietnam for fourteen months until January 1969 when he returned to Texas and finished his education. His father’s unexpected passing in August 1969 was one of the biggest motivating factors to write these stories. John has pictures of his dad in Europe during WWII. He has discharge papers describing all the battles, campaigns, and dates that his dad was involved in, but not a single story. It was after marriage, the birth of a daughter, and several years of work in construction that he birthed Peltier Brothers Construction. John E. Peltier is now retired and lives in Tomball, Texas, with his wife. He is the father of three children and ten grandchildren. He still raises cattle and gives much back to his community. Sam Houston State University recognized him as one of their 2015 distinguished alumni. “A look in the mirror of my life: When I was growing up I used to daydream about what my future would look like. In my wildest dreams, I could have never been close to painting the picture of this life as it happened. I also know that I'm not long enough, strong enough, good enough or smart enough to have done these many enterprises on my own. Only through friends, family, and faith in God did I succeed,” John reflects when asked about his journey writing his book. 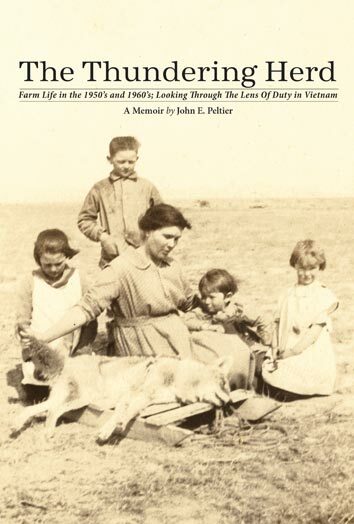 For more information on “The Thundering Herd - Farm Life in the 1950’s and 1960’s: Looking through the Lens of Duty in Vietnam” (ISBN 9781478765332, Outskirts Press, 2016) visit http://www.johnepeltier.com. Publicity contact is http://www.ReaderViews.com. Review copies available to the media upon request.